Saguaro model home showing landscaped front yard and balcony from the owner's suite. The openness from the kitchen and cafe allow for seamless transitions from room to room while entertaining or relaxing. Fall in love with the seamless layout from the kitchen and cafe to the gathering room and den. The gathering room showcasing the layout from the cafe and kitchen as well as an accent ceiling and tile flooring. The spacious owner's suite includes it's own private bath with the option for a deck and sliding glass door. The private owner's bath complete with dual sinks on the granite vanity and tile shower with seat plus walk-in closet. The cafe off the kitchen offers plenty of space to enjoy meals and is well-lit from the sliding glass door and backyard. You get to be the designer and choose your favorite colors including countertops, cabinets, backsplash and appliances. The wrought-iron stair spindles take you to the upstairs and loft living area for additional functional space. Built-in black stainless Kitchenaid® appliances with range, microwave, and gas cooktop with vent hood in the kitchen. Dine on the covered patio on warm New Mexico evenings or invite friends and family over for a fun BBQ. Design an outdoor living space to fit your needs - from a covered patio to a BBQ grill for taking the party outside. Get inspired to dress up your yard with planters, greenery and even outdoor games. The owner's suite offers an option for a deck to enjoy the warm sun while drinking morning coffee or tea. Keep your guests comfortable with spacious and cozy bedroom where they can relax and unwind. Spacious secondary bedroom with bright window is suitable for overnight guests or family members. Laundry room offers functionality as well as space and lighting to make chores just a little more enjoyable. Contemporary exterior of the Saguaro townhome paired with the Ocotillo townhome with a neutral color combination. The largest townhome, the Saguaro includes a den on the first floor plus many flexible options and features. 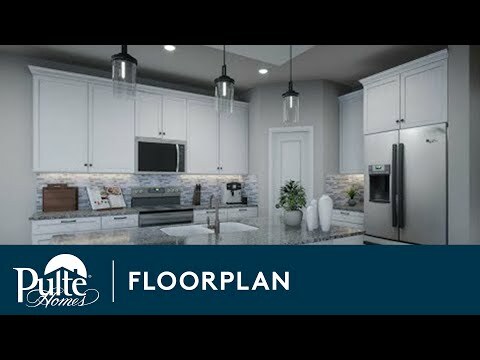 Impressive kitchen modeled with accent ceiling, built-in appliances and a large corner pantry plus kitchen island seats. In the gathering room you'll enjoy just the right amount of space to cozy up to your favorite television show or movie. The den just off the kitchen allows for a home office and can be enhanced with tray ceiling and decorative lighting. The Saguaro is a versatile townhome providing plenty of space, perfect for family living. The kitchen opens to the café and gathering room with the option of adding a covered patio. The den offers the flexibility of adding French doors or converting it to an additional bedroom with bath on the main floor. Options for this plan include an accent ceiling, loft, or balcony off the owner’s suite. Step inside Saguaro to see the Life-Tested Home Designs® with more usable space where you want it most. So you live the way you want to live. The flexible Saguaro design offers a first-floor den that can convert to an additional bedroom with bathroom. Upstairs you’ll find the owner’s suite with walk-in closet and private bath plus two guest bedrooms. Create the perfect movie room by adding a loft. The Saguaro design offers a first-floor den that can convert to an additional bedroom with bathroom. Upstairs you’ll find the owner’s suite with walk-in closet and private bath plus two guest bedrooms. Add a loft for more space. Front yard of the new Saguaro townhome that is now complete at La Orilla! An open space kitchen with a large exquisite kitchen island for prepping delicious home cooked meals or quick meals. Wooden flooring throughout the gathering room with an open floor plan creating more space for entertainment. Spacious carpeted owner's suite with lights. The owner's bathroom also includes a spacious closet for linens and towels. The owner's suite bathroom features his and her sinks with a large shower with classy glass sliding doors. The owner's suite with lots of space and a glass sliding door leading to an out door balcony. A beautiful view from the balcony right off the owner's suite. Perfect for relaxing and enjoying the warm sunny weather. The carpeted owner's suite walk in closet with built in shelves for utilization of storage. An upstairs loft with lots of space to create an additional living area for visiting guests or a game room. The Saguaro's gorgeous kitchen features a beautiful back splash and stainless steel appliances. Large kitchen island with contemporary light fixtures hanging down. Also features granite counter tops. Carpeted and spacious guest bedroom with a double window to bring in natural lighting. The Saguaro's laundry room is located downstairs with a contemporary shelf and flooring to make laundry easier. The Saguaro features a covered patio for enjoying meals outdoors with family and friends while enjoying the weather. The Saguaro a two story town home with a balcony off of the owner's suite and a two car garage.